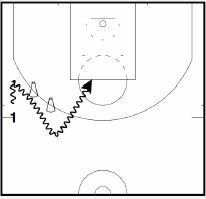 These two drills came from Drew Hanlen’s Pure Sweat Basketball Competitive Shooting Challenges Drill Book. Drew is an NBA Strategic Skills Coach & Consultant that has helped over 25 NBA and NBA pre-draft players including David Lee (Warriors) and Bradley Beal (Wizards). Drew is the Head Skills Coach for Pure Sweat Basketball. He has run his internationally renowned Elite Skills Clinics in over 30 states and 4 countries over the past four years. He is also the Head Skills Coach for the Reebok Breakout Challenge and has worked various events for Nike Basketball. 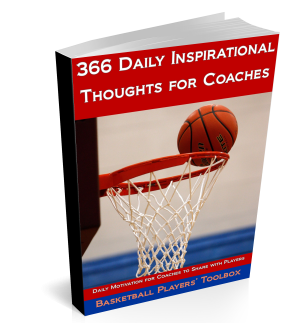 Step 1: You will shoot spot-up jump shots from five spots on the court. You have to make three shots in a row to move on to the next spot. 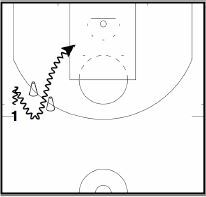 Step 2: After making three shots in a row from all five spots, you have to make five shots in a row (one from each of the five spots) to finish the drill in as little time as possible. A good goal is to finish the drill in less than three minutes. Record: Bradley Beal (Washington Wizards) finished this drill in 1:20.
then separate down hill with an explosion dribble for an uncontested jump shot. 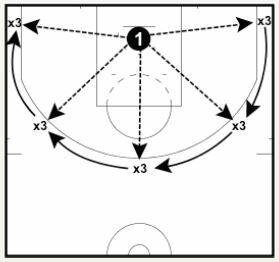 Step 2: Run back to your starting spot, set up your defender, and then come shoulder-to-hip with your screener. 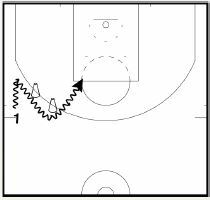 Step 3: Run back to your starting spot, set up your defender, and then come shoulder-to-hip with your screener. 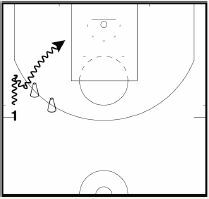 space, with a long, low dribble, and then finish with a floater. Step 4: Run back to your starting spot, set up your defender, and then come shoulder-to-hip with your screener. to see how many shots you can make in two minutes. A good goal is to finish the drill with at least 10 made shots. Record: Bradley Beal (Washington Wizards) made 16 shots.